I’ve been thinking a lot lately about the role of the central character in YA novels – namely, her personality. Someone once told me that the key to the success of a particular, wildly popular novel was that the central character, a teenage girl, had hardly any personality traits at all. No obvious quirks or flaws or qualities. No distinguishing marks. Even her appearance was indistinctive. She was attractive, without any details. The reason, he said, was simple. This allows every reader to put herself into the story, to imagine that she is the protagonist of the book, to fantasize that she is the heroine. Sure, things happened to the central character, and around her, but it is what life does to her that is important, not what she does with her life, he said. If a central character has a distinctive way of acting or thinking, it can interfere with the average reader imagining themselves being her. I wondered about that at the time, and I still do, but it seems a little cynical to me. Maybe it is a good strategy for some YA writers, but I couldn’t imagine bringing such a girl to life. The only way I can bring a character to life on the page, to make her talk and think and feel, is to make her real to me – which means giving her all the complexity that I see in myself and in the people around me, and especially in the girls that I remember in my teenage years. That means imagining a person who isn’t perfect, isn’t an angel or a saint or a genius or empty-head either. It also means imagining someone with a checkered history, with both precious and painful memories, with insecurities and doubts and fears and desires. She has to have scars, hang-ups and emotional baggage. She sometimes makes mistakes and has regrets. She isn’t a role model. She’s a human being in the midst of huge change, ie teenagehood. I’m thinking about this because I sometimes get feedback from Apparition readers that they aren’t wild about my central character Amelia, saying she lacks confidence, suffers from too much doubt, and too much indecision about the boys in her life. Also, she thinks a lot, and ruminates about everything too much and seems to contradict herself sometimes. But I’m happy knowing there are quite a few readers out there who do like Amelia, and cut her some slack. After all, she is suffering from grief and loneliness and depression, but she still has a sense of dark humour and she doesn’t run away when the going gets tough. She will walk alone into a haunted barn if she thinks she should – knowing that she won’t actually be in there alone at all. In the end, I’m totally okay with readers who don’t identify with Amelia so much, because we don’t always identify with everyone we meet in real life and that’s okay. But I hope they will give her a chance, see that she is struggling to be a better person, and that, over time, she might even gain a little wisdom! Posted on December 21, 2014, in Writing YA Fiction and tagged Apparition, central character, imperfect heroine, personality traits, YA novels. Bookmark the permalink. 2 Comments. Hi Gail. 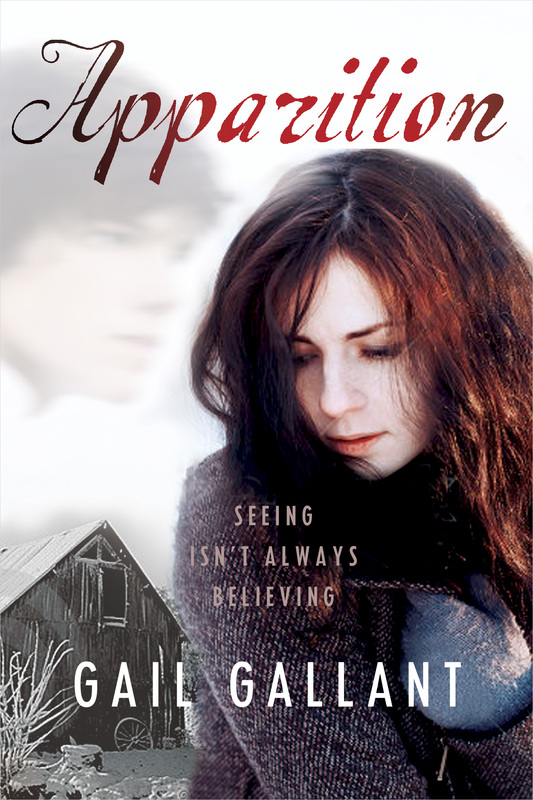 I’ve been reading Apparition for the White Pine program at my school. I’m a teacher who chose this novel to promote to my students. I think that Amelia as narrator offers a unique point of view (her ability, or sensibility to see ghosts) that youth readers will connect to. Looking forward to finishing the novel and presenting it to my students! Best wishes, and let me know if I can help in any way.